The key to state-of-the-art logistics management for the wholesale industry is intelligent organization. It takes seasoned staff and nimble IT to structure the right logistics and cargo management system for the wholesaler customer. Prime Air & Ocean Cargo is able to optimize and organize your supply chain, inventory management and distribution for your unique wholesale needs. Timely and efficient services, including warehousing, specialized freight services, fulfillment and smarter delivery options put Prime Air & Ocean Cargo at the front of the wholesale industry logistics market. Comprehensive solutions make our wholesale customers come back time and again for Prime Air & Ocean Cargo’s dynamic services and support. 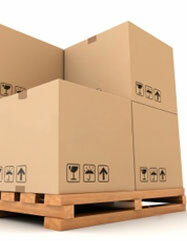 Optimize your business with robust logistics management and flexible services.